The U.S. Green Building Council (USGBC) announced the newest version of its green building rating and certification program has officially launched, according to Environmental Leader. Known as Leadership in Energy and Environmental Design (LEED), this program aims to promote sustainable buildings while reducing energy consumption. With the launch of LEED v4, there are now 122 beta projects globally that are incorporating this latest version. In the updates to the rating system with LEED v4, new sectors are included in the program, including data centers and buildings in the hospitality industry. USGBC has also made it easier for designers and builders to become more informed about how their structures can become LEED certified with step-by-step guides and videos. The new version of LEED is also expected to concentrate on outcomes, which could aid in energy and resource management of these buildings. While the impact of this program can be seen with energy savings for individual buildings, this rating system can also determine the sustainability of cities. In the latest rankings of the 10 smartest cities in North America, based on innovation and sustainability, No. 2 city San Francisco and No. 9 city Chicago were praised for their large number of LEED buildings, according to Fast Company. San Francisco had 302 LEED certified buildings while Chicago had even more with 405. "LEED v4 is as much a testament to the achievements of LEED project teams around the world as it is to the green building community's ambition to create significant global and local change through resource-efficient, cost-effective green buildings," said Rick Fedrizzi, president and CEO of USGBC. 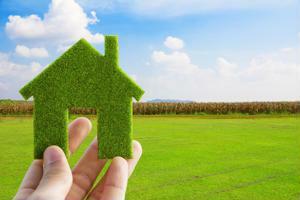 Scot Horst, senior vice president of LEED at USGBC​, said the market can benefit from cleaner and healthier buildings. Despite acknowledging the benefits of the green building rating system, some industries anticipate challenges regarding LEED procurement, including the health care sector, according to Healthcare Design Magazine. "As much as the design industry likes innovation, it often does not embrace change quickly, especially in health care, given the long cycles of design and construction for large projects," said Mara Baum, senior associate and sustainable design leader for healthcare at HOK. "Many aspects of v4 are very new to the sustainable design community, so it will take time for the industry to adjust." Health care sector buildings may have difficulties meeting new LEED v4 features such as increased water efficiency prerequisites and building product reporting, with some professionals even calling these new updates too ambitious. Although the health care industry might be concerned with LEED v4's new requirements, hiring an experienced procurement consultant could help them meet their sustainable building goals.